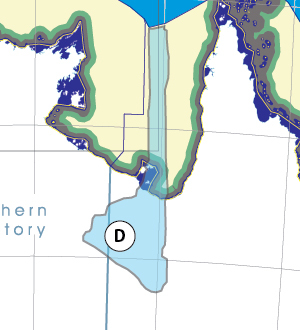 - Should there be a separate super-State for the whole of the Gulf of Carpentaria? - Would life be enhanced if it was on a fast Ring-Rail that links the Capital City to every other Capital City in Australia? Does it have a university? it appears not to have. We think that it should. Many other interesting things! The CSIRO has regions for projecting the impact of Climate Change. See https://www.climatechangeinaustralia.gov.au/en/climate-projections/futur... This state, Wurung State (D), is one of the clear projections in a CSIRO cluster called "Monsoon North region". CSIRO's Monsoon North region coincides exactly with BloggerMe's K,J,H,G,F,E,D,C,AF.